For Halloween fans, the end of October is such a sour note. Christmas music ringing in our ears as the fog and gore drift off like a dream or nightmare. But Queen Mary is here to help ease the pain. NOW OPEN, you can take the Ghosts and Legends Tour aboard the famously haunted ship! Find out why the Queen Mary is known as “the haunted ship” in this spooky and fun, interactive, special effects adventure. 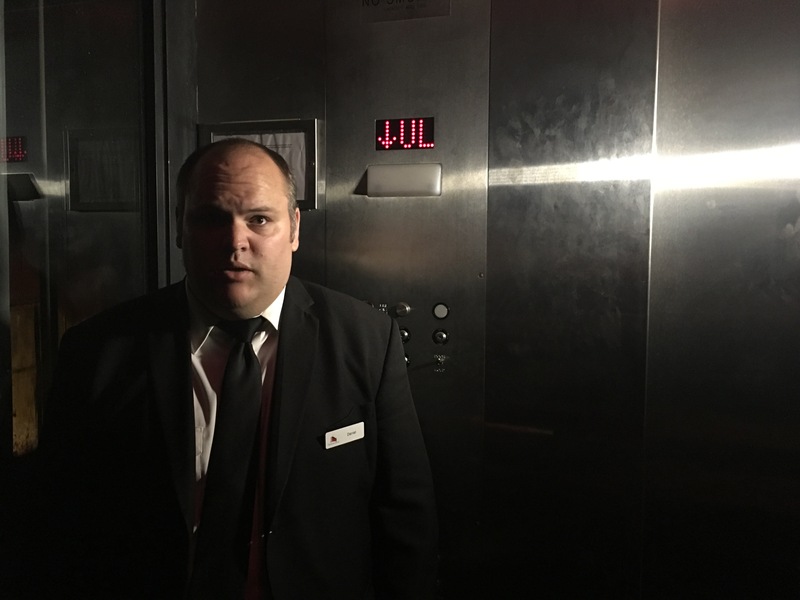 Watch your step as you are guided through the deepest innards of the Queen Mary because you never know what lurks in the dark shadows of the ship. Explore the old boiler room where sweltering heat and tight quarters were a recipe for disaster. Relive tales of paranormal incidents, accidents and ghost sightings. There’s no doubt the Queen Mary is full of mystery and lore and the Ghosts & Legends Show is sure to leave you asking the question, “If it wasn’t a ghost, what was it?” Summoning believers daily. 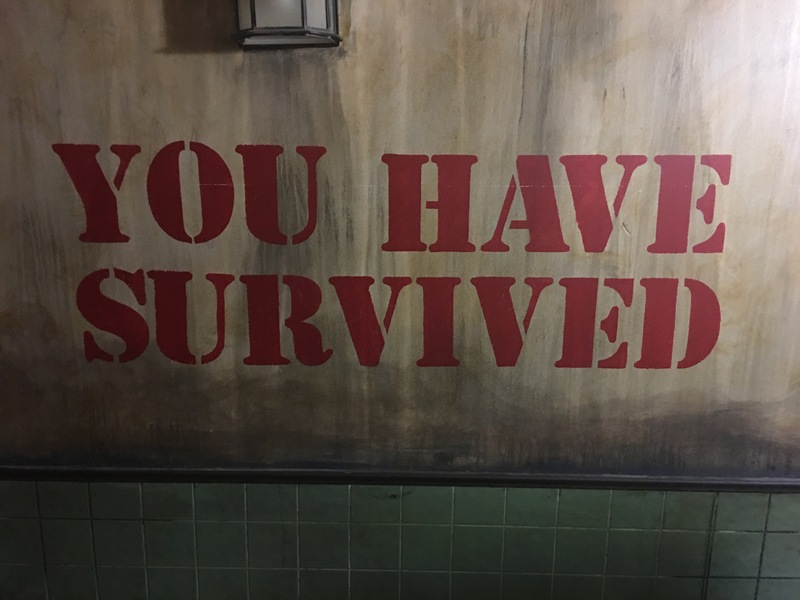 The incredible creative team at The Queen Mary in Long Beach California have brought new life into their most popular tour. 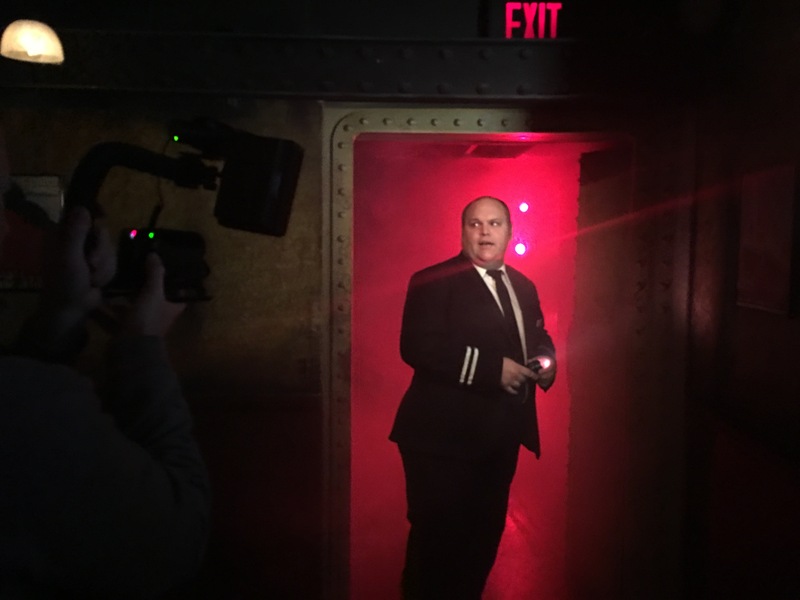 Ladened with special effects and wonderful story telling, The Ghosts and Legends Tour will take you into the bowels of the ship to experience the supernatural. We are huge Halloween fans and regulars to The Queen Mary’s Annual Dark Harbor Event. We are used to the monsters roaming the shadows of the infamous ship. But we can’t get our haunt fix outside of September and October…until now! We were lucky enough to be invited aboard the ship to be some of the first to experience this tour. 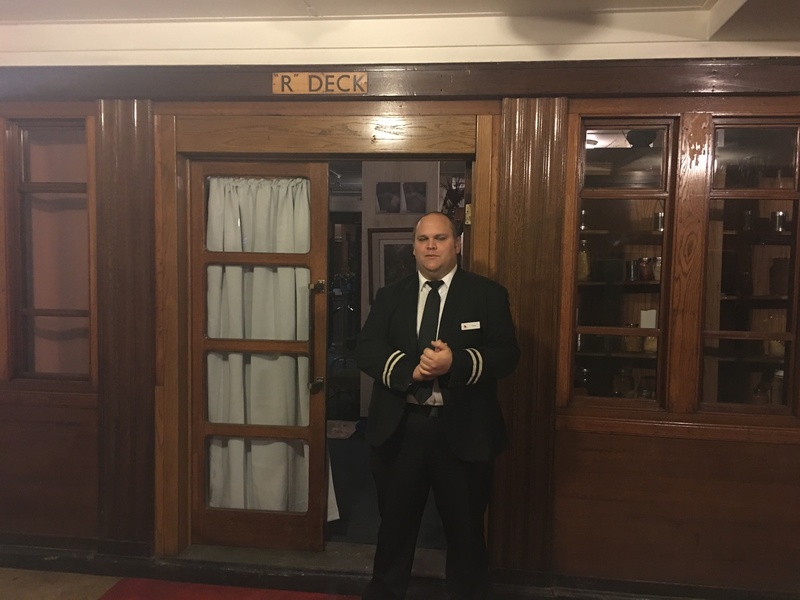 We were greeted by Brian Luallen, the Director of Entertainment and Events aboard The Queen Mary, who told us about the tremendous amount of love, hard work and dedication that went into the creation of this tour. Explaining that the previous Ghosts and Legends Tour had been planned for a 2-3 year run but ran for 16 years! They knew it was time for a change and to give this popular tour a facelift! We were separated into 4 groups and taken into the 20 plus minute experience separately. Our tour started out at the “The Museum of the Macabre” which gave us the catalyst for everything that happened during our tour! There we are handed our own personal interactive flash lights for the Tour. If you are familiar with this technology, you know exactly what to expect. If you are unfamiliar with this technology, you are going to have a ton of fun! This is not a spoiler review so I will not go into detail about the tour. BUT, I will say you encounter: water effects, CGI, and an extremely large Tesla coil! The Ghosts and Legends Tour is a perfect combination between a normal ghost tour and a haunt maze. Perfect for those not brave enough to venture into the fog during Halloween but intense enough for those Haunt fans looking to curb their appetite. What I find most unnerving about the experience is that it utilizes the dark history of death aboard the ship. Although I wish that it incorporated more of the stories and first-hand accounts of the actual ghosts, you still get a taste of those experiences. But, the tour is still filled with jaw dropping moments that will keep all the guests on edge. Especially when they are told at moments they are at least 30 feet below the water! Overall, The Ghosts and Legends experience is incredibly fun and scary. It is also something different for those looking for a bit of Haunt during the Holiday season. For a $10 (per ticket) price point, it is also incredibly affordable to do for any occasion. Pricing: $10 Per Person (ADD-ON) Purchase a Queen Mary Passport to add the Ghost and Legends Tour. Head over to QueenMary.com to learn more!